Learn to create a romantic, Victorian-inspired bracelet that's as easy to wear as it is beautiful with this tutorial from designer Anna Moore Roberts of Wynter Creations. 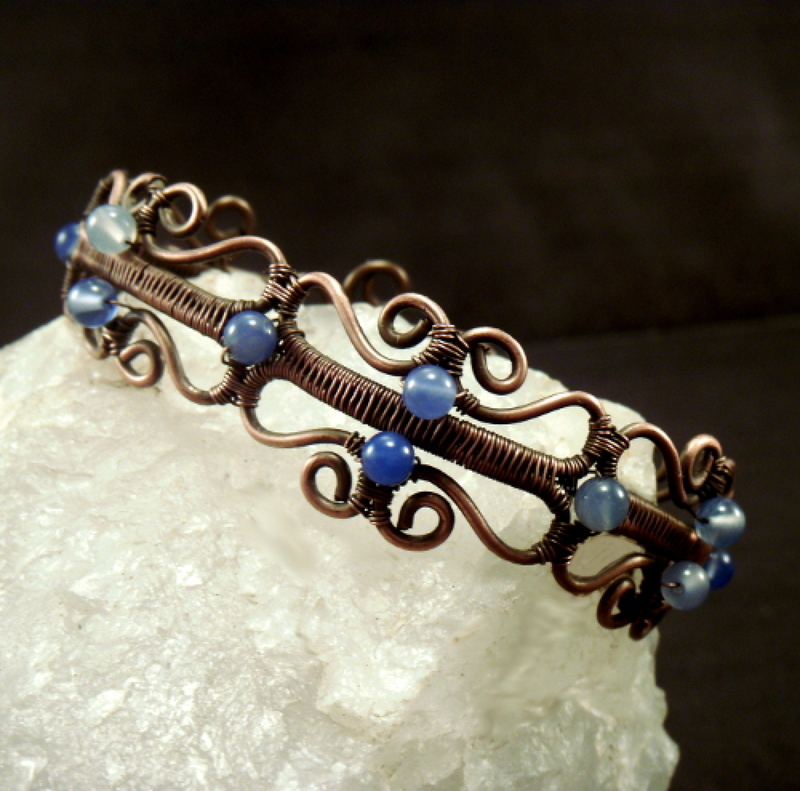 This design incorporates a number of useful techniques, including two types of wire weaving, a decorative clasp, and a unique hinged construction that makes the bracelet especially easy to put on and take off. With 32 clear, easy-to-follow steps and over 70 illustrative photos, this tutorial follows the design in detail from start to finish. 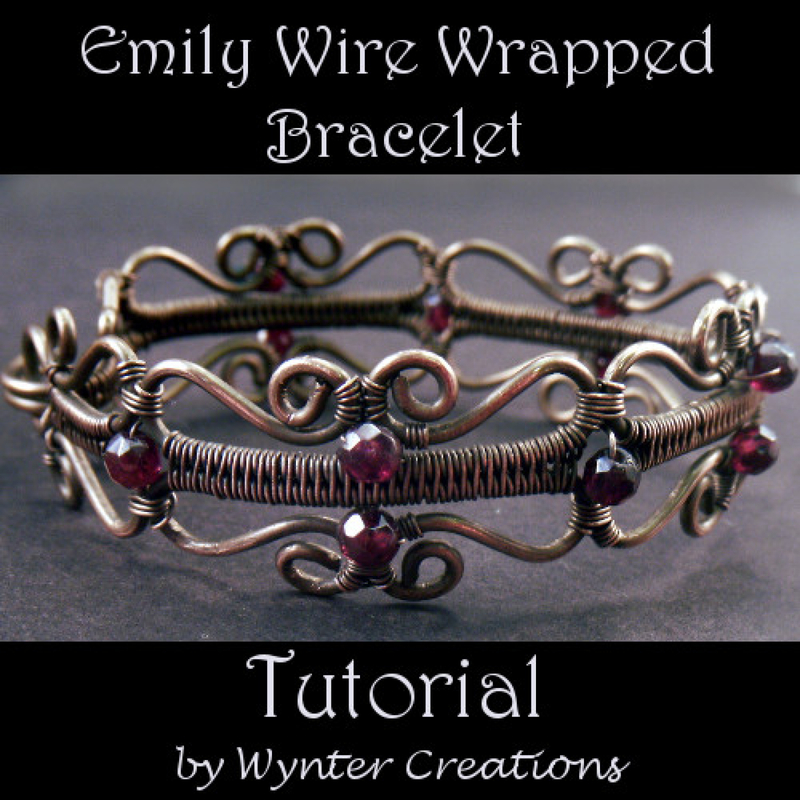 This tutorial is intended for crafters and artists who have a little experience with wirework and are looking to increase their skills. However, the instructions are detailed enough for an ambitious beginner as well.